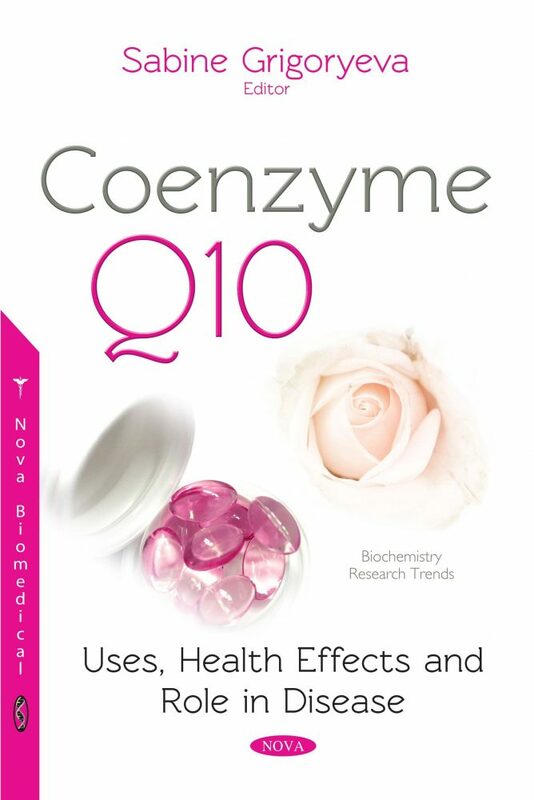 Coenzyme Q10: Uses, Health Effects and Role in Disease reviews the current knowledge and evidence of the potential clinical applications of Coenzyme Q10 (CoQ10). CoQ10 is a lipophilic molecule composed by a bezonquinone ring conjugated to a ten-carbon isoprenoid side chain. It exists in two molecular forms, ubiquinone and ubiquinol, which are the basis for its antioxidant properties. CoQ10 also plays an essential role in cellular metabolism to produce ATP, which provides energy for muscle contraction and other vital cellular functions. Most of the ATP production occurs in the inner mitochondrial membrane, where coenzyme Q is found. The authors review the protective effects of CoQ10 on intense physical exercise, reducing muscle damage and improving physical performance. Evidence of secondary CoQ10 deficiency in disease and in pharmacotherapy is discussed, highlighting putative mechanisms to account for this deficit together with examples of therapeutic intervention. Secondary CoQ10 deficiencies are important to identify as clinical benefit can be elicited following treatment with CoQ10 or its associated analogues.